Transgender rights are human rights! 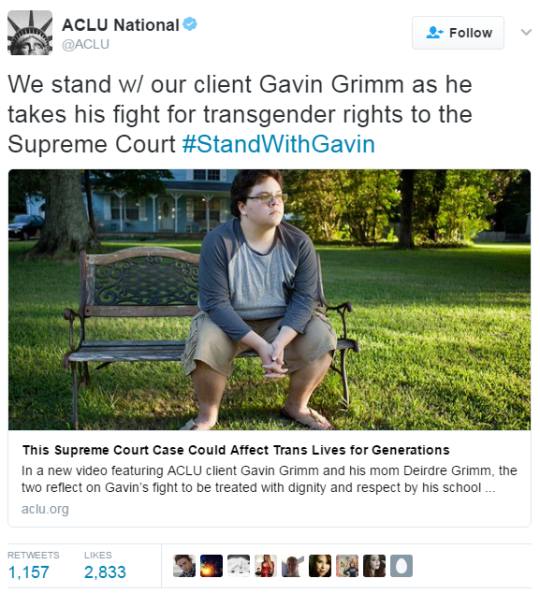 I #StandWithGavin. Show your support for Gavin.